This year, I’m replacing the chemical-laden snacks they are used to eating with healthier, homemade choices. 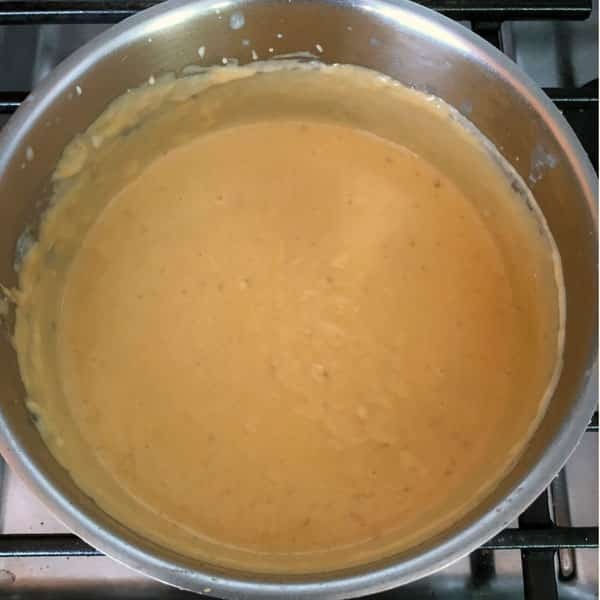 The first replacement is homemade nacho cheese sauce. 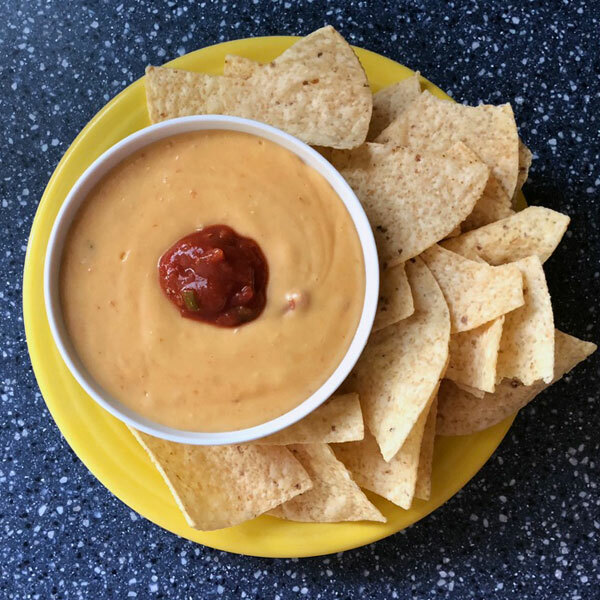 This amazing, creamy nacho cheese sauce is ready in 5 minutes—without Velveeta!—and is delicious with chips, vegetables, or pasta. 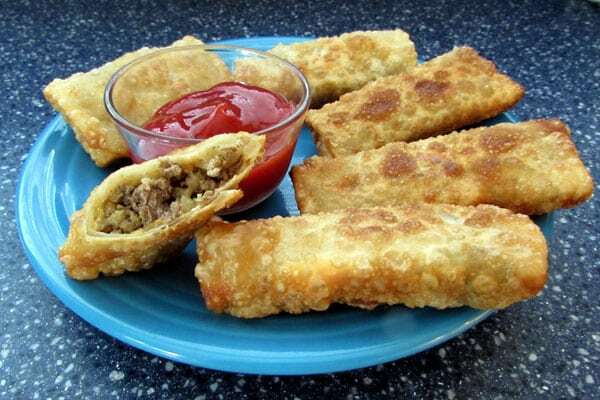 By the way—if you do like pizza rolls, I suggest trying homemade Cheeseburger Egg Rolls. Dip them in spaghetti sauce and presto! You have pizza rolls without preservatives and chemicals. But I digress. 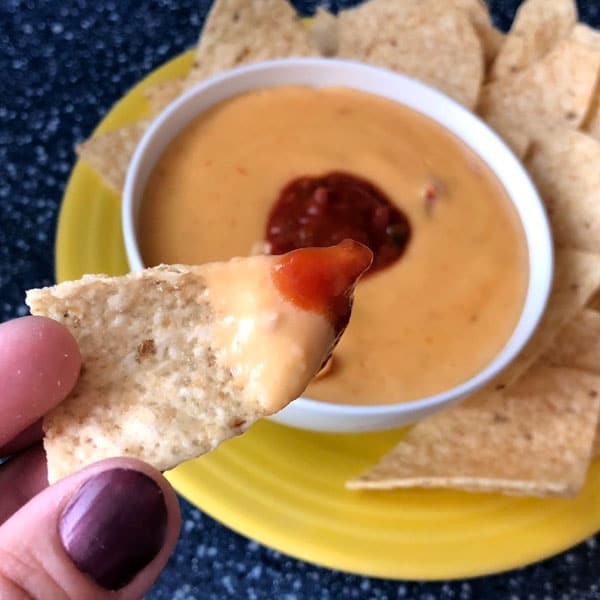 Are you ready for some nacho cheese? Watch for the secret ingredient that makes this better than your everyday cheese sauce. You won’t believe how easy this recipe is. First, we’ll saute some butter and flour, then add milk. Sprinkle in a few seasonings that will give your finished sauce extra flavor. Add some cheese, stirring until it melts, and your basic cheese sauce is done. You could stop here, and serve this with homemade pretzels or pour over steamed broccoli…but we’re going to kick it up a notch. Add at least 1 Tablespoon of tomato salsa—whatever is your favorite. Mild salsa, fire-roasted, even ghost pepper or Carolina reaper salsa if that’s what you like. 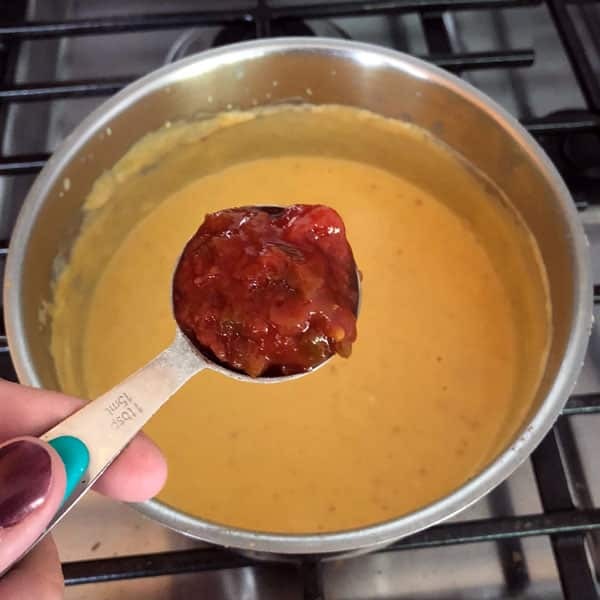 This is the secret ingredient that will take your nacho cheese sauce from good to great! 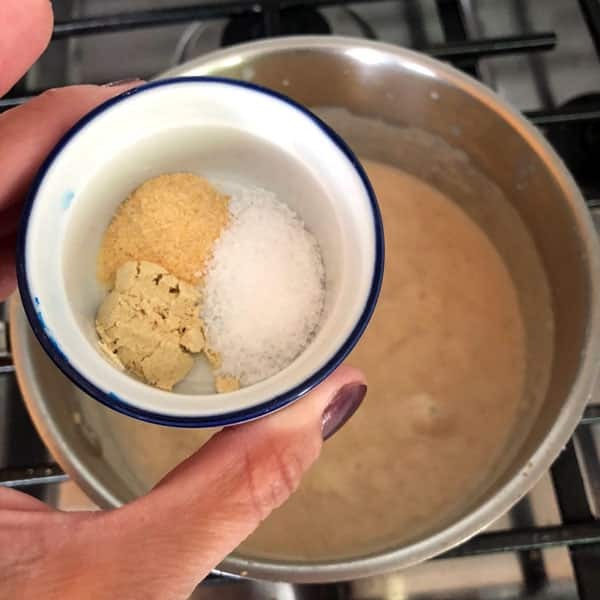 Melt butter in a saucepan and sprinkle in flour. Cook for 2 minutes until lightly brown. 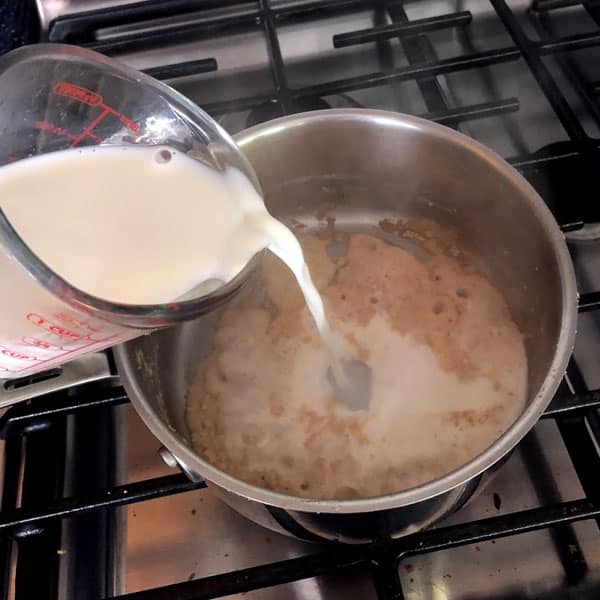 Pour in milk and whisk to remove any lumps. Add mustard powder, garlic powder, and salt. Turn off the heat and add the grated cheddar cheese. Stir gently until cheese is melted. Add salsa and stir to combine. 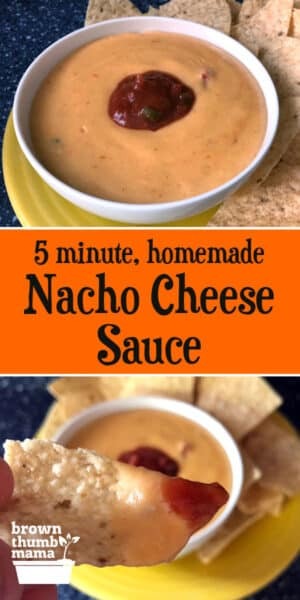 What will you serve your nacho cheese sauce with?